One of my favourites, with some tasty yogrut dip! LOVE these. My son loves onions rings ... and now he's going to love you for these! What a brilliant recipe ! I love onion rings and this version sounds perfect ! 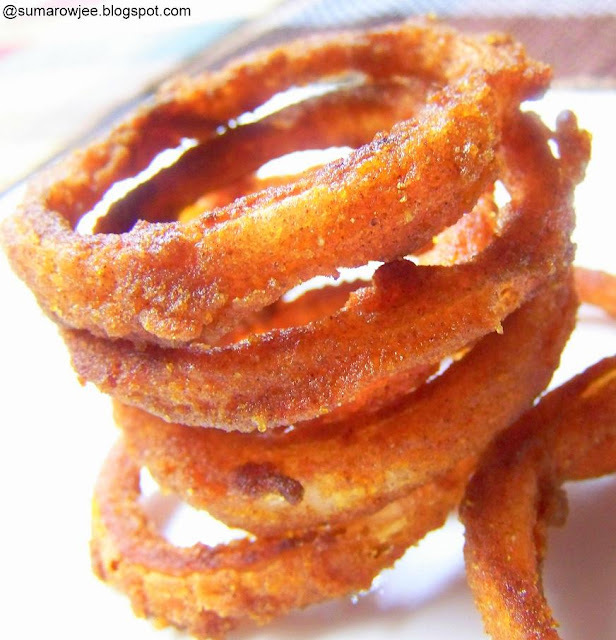 As 'pretty' an onion ring as I've ever seen, and prettier coz it is baked! Yum! Looks yum. Now thanks to you i am trying this out. 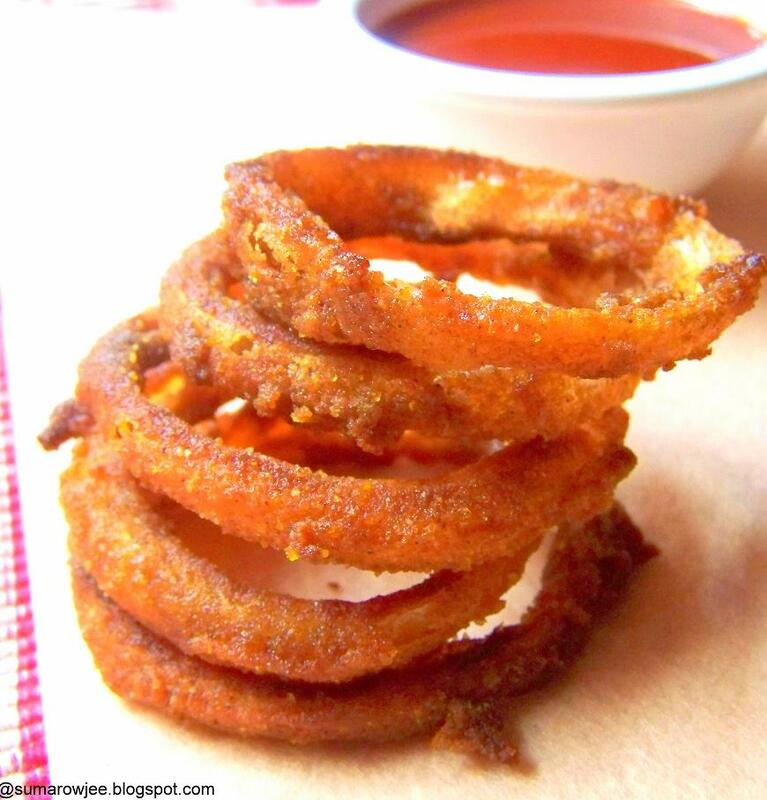 Wat a terrific onion rings, wont mind munching some. Would love to grab the whole plate from there. Wow they look too crispy.. for it being baked - it is almost guilt free..
Suma, what can I use instead of egg ? Try using cornstarch, 2 tbsp cornflour mixed in 2 tbsp warm water. Dip the rings in these and proceed. Ty will def try these ths week ..